Menter Cosmetic Institute of Dallas offers a wide variety of medical grade therapeutic aesthetic products for the face and body. 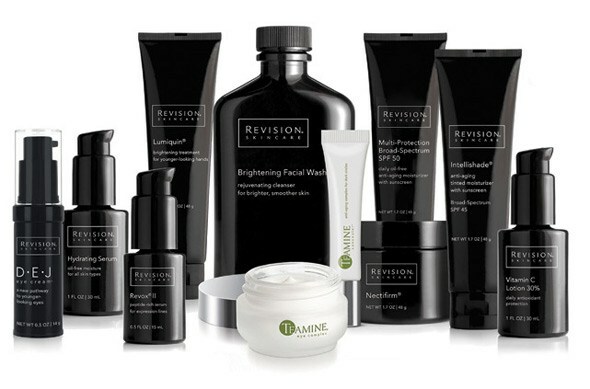 Our diverse range of skin care products will help restore and maintain your youthful skin. We are committed to providing you with exceptional care and our experienced aestheticians will customize your skin care regimen based on your personal aesthetic and cosmetic needs. AHAs are exfoliants found in skin care products and chemical peels. The most common AHA is glycolic acid, which occurs naturally in sugar cane. AHA causes the cells of the epidermis to become “unglued”—allowing dead skin cells to slough off and reveal healthy new skin cells. Alpha hydroxy acids are effective in minimizing wrinkles, improving the skin’s texture, eliminating unattractive pigmentation caused by sun damage, as well as treating oily and acne- prone skin. Glytone offers a variety of glycolic based products from cleansers and moisturizing facial creams to retexturing products for the body. 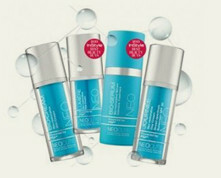 Antioxidants help neutralize free radicals within the skin. Free radicals are rogue atoms triggered by exposure to the sun, smoking, stress, pollution, and other damaging environmental factors. They damage skin cells and contribute to fine lines, wrinkles and skin discoloration. Antioxidants destroy these free radicals before they can cause damage. Unlike sunscreens and moisturizers, antioxidants can protect your skin from the inside out by guarding your cells against damage. 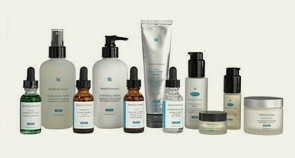 We carry a variety of cleansers for sensitive, normal and acne-prone skin. Eye creams treat and hydrate the delicate thin skin around our eyes. They come in a wide variety of formulations designed to reduce the appearance of dark circles, decrease puffiness, combat dehydration and stimulate collagen production that is instrumental in diminishing fine lines and wrinkles. Visao MD offers Spotless—a power-packed duo that features a gold-star formulation of hydroquinone, tretinoin and kojic acid. Designed for nighttime application, it is only available by prescription. Visao MD also offers a hydroquinone-free option—Illustra. Rich in vitamins C and E—along with fruit-based acids that brighten the skin—it is appropriate for morning and nighttime use. 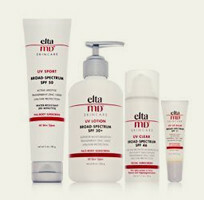 We offer a wide selection of moisturizers perfect for all skin types and every skin concern. Whether you suffer from acne or rosacea, our experienced aestheticians will help you select an individualized moisturizing regime that optimally suits your skin type. We recommend using a physical sunscreen blocker that contains zinc oxide or titanium dioxide to protect damaging rays from the entire UV spectrum. A derivative of vitamin A, retinol delivers a powerful anti-aging punch. It is perfect for individuals with sensitive skin because it is less concentrated than vitamin A. Retinol revitalizes the skin while diminishing the signs of aging and improving acne-prone skin.